This page will update at random times with cool new products. 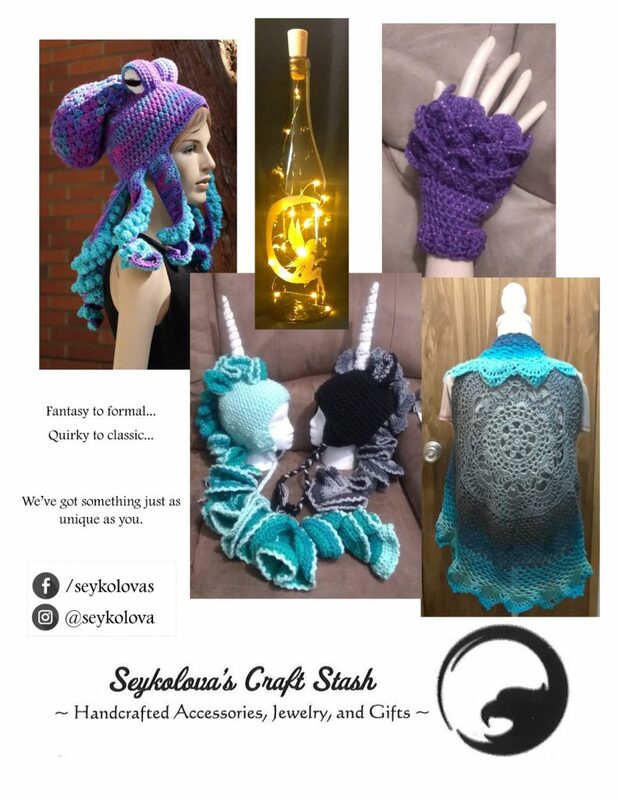 To keep on top of what’s available, follow Seykolova’s Craft Stash on Facebook and Instagram. Link to Etsy store will be added as soon as the store is stocked to my satisfaction.